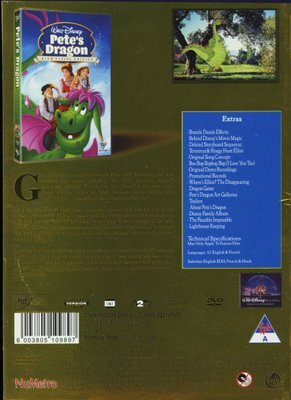 Get ready for a magical adventure, filled with friendship, fun and heartwarming songs, including the 1977 Academy Award(R) Best Song nominee "Candle on the Water," in the new High-Flying Edition DVD of Walt Disney's classic family film PETE'S DRAGON - now with dazzling new bonus features! It's a "Brazzle Dazzle Day" when an orphan named Pete and his best friend, Elliott - an invisible dragon! - wander into the seaside village of Passamaquoddy. 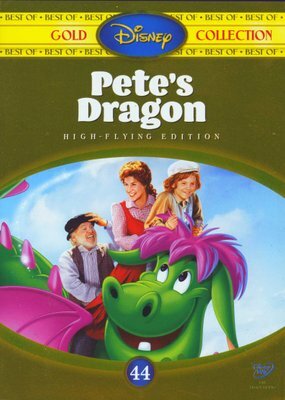 Although Pete befriends the lighthouse keeper Nora (Helen Reddy) and her salty old father (Mickey Rooney), the townspeople think he is behind the hilarious "accidents" that keep happening. But after a daring rescue, everyone believes in Pete's fire-breathing buddy. Featuring an all-star cast (Shelley Winters, Red Buttons, Jim Backus and Jeff Conaway), PETE'S DRAGON is a timeless classic every member of your family will love.